Your Internet Protocol (IP) is a unique Internet address which is assigned to you by your Internet Service Provider (ISP). We automatically track and may use this information to do internal research on our users’ demographics, interests, and behavior to better understand, protect and serve you. This information may include the URL that you just came from which URL you next go to (whether this URL is on the website or not), your computer browser information, and your IP address. While the IP address does not identify an individual by name, it may, with the cooperation of the ISP, be used to locate and identify an individual using the Internet. Your IP address can, however, reveal what geographic area you are connecting from, or which ISP you are using. Finally, other websites you visit have IP addresses and same as many other websites we may collect the IP addresses of those websites and their pages. Cookies allow Instant-Deals to measure activity on the site and to improve your user experience. This could include only showing you a popup once in your visit, or the ability to login to some of our features. You can chose to disable or selectively turn off our cookies or third-party cookies in your browser settings, or by managing preferences in programs. However, this can affect how you are able to interact with our site as well as other websites. This could include the inability to login to services or programs, such as logging into forums or accounts.Deleting cookies does not mean you are permanently opted out of any advertising program. Unless you have settings that disallow cookies, the next time you visit a site running the advertisements, a new cookie will be added. Instant-Deals.com encourages parents and guardians to spend time with their children online, and to be fully familiar with the sites visited by their children. No information should be submitted to or posted on our website by users under the age of 13 years without consent of their parent or guardian. Instant-Deals does not provide any personally-identifying information for users under the age of 13, regardless of its source, to any third party for any purpose whatsoever unless disclosed during collection. We endeavor to safeguard and protect your information. We use Secure Socket Layer Software (SSL) to protect data and to secure any transactions. SSL encrypts information, including names and addresses as they are transmitted over the Internet. Please be advised that, although we take commercially reasonable technological precautions to protect your data, no data transmission over the Internet can be guaranteed to be 100% secure. Therefore, we can not and do not warrant that your information will be absolutely secure. Any transmission of data at or through our website is at your own risk. However, access to your information is strictly limited, and not accessible to the public. If you subscribe our newsletter and coupon alert, it means that you give us the authorization to send you newsletters by email, including new sale, coupons, discounts or promotions on our site. Coupon Alert is periodically sent via emails with promoting information of merchants or products you subscribed. If you want to unsubscribe, thank you for clicking the last link of the email you received, we will stop sending them to you. We will never share your contact information and email address with a third part. We confirm that you have the right to refuse to accept cookies. And in this case, you will not be able to access parts of our site, we thank you for your understanding. Instant-deals may offer sweepstakes or other promotions. If you enter a sweepstakes or promotional contest, we’ll ask you to provide information about yourself. Among other things, we’ll need this information to contact you if you win. We may share this information with any co-sponsor of the contest or sweepstakes, which we’ll identify in the contest rules. If you don’t want us to collect the information requested in the contest or sweepstakes registration form or to provide it to co-sponsors, please do not enter the contest or sweepstakes. 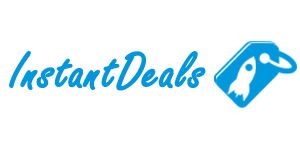 Instant-Deals contains links to sites other than instant-deals.com; those sites may not follow the same privacy policies as our website. Please be aware, when you click on a link such as “Get Deal” “Reveal Coupon” “Visit Store” or “Activate Coupon” etc. you will be directed to the retailer`s or advertiser`s website. If we rely on our, or another person’s, legitimate interests for using your personal information, we will undertake a balancing test to ensure that our (or the other person’s) legitimate interests are not outweighed by your interests or fundamental rights and freedoms which require protection. The right to ask us to provide you with copies of personal information that we hold about you at any time free of charge, although we may charge a reasonable fee if your request is manifestly unfounded or excessive, or repetitive. The rights to request that we stop using or delete your personal information (in certain circumstances we may not be able to stop using your personal information but if that is the case, we will let you know why). If one of the aforementioned reasons applies, and a data subject wishes to request the erasure of personal data stored by the Instant-Deals, he or she may, at any time, contact any employee of the controller. An employee of Instant-Deals shall promptly ensure that the erasure request is complied with immediately. Where the controller has made personal data public and is obliged pursuant to Article 17(1) to erase the personal data, the controller, taking account of available technology and the cost of implementation, shall take reasonable steps, including technical measures, to inform other controllers processing the personal data that the data subject has requested erasure by such controllers of any links to, or copy or replication of, those personal data, as far as processing is not required. An employees of the Instant-Deals will arrange the necessary measures in individual cases. If one of the aforementioned conditions is met, and a data subject wishes to request the restriction of the processing of personal data stored by the Instant-Deals, he or she may at any time contact any employee of the controller. The employee of the Instant-Deals will arrange the restriction of the processing. Furthermore, in exercising his or her right to data portability pursuant to Article 20(1) of the GDPR, the data subject shall have the right to have personal data transmitted directly from one controller to another, where technically feasible and when doing so does not adversely affect the rights and freedoms of others. In order to assert the right to data portability, the data subject may at any time contact any employee of the Instant-Deals. The Instant-Deals shall no longer process the personal data in the event of the objection, unless we can demonstrate compelling legitimate grounds for the processing which override the interests, rights and freedoms of the data subject, or for the establishment, exercise or defence of legal claims. If the Instant-Deals processes personal data for direct marketing purposes, the data subject shall have the right to object at any time to processing of personal data concerning him or her for such marketing. This applies to profiling to the extent that it is related to such direct marketing. If the data subject objects to the Instant-Deals to the processing for direct marketing purposes, the Instant-Deals will no longer process the personal data for these purposes. In addition, the data subject has the right, on grounds relating to his or her particular situation, to object to processing of personal data concerning him or her by the Instant-Deals for scientific or historical research purposes, or for statistical purposes pursuant to Article 89(1) of the GDPR, unless the processing is necessary for the performance of a task carried out for reasons of public interest. In order to exercise the right to object, the data subject may contact any employee of the Instant-Deals. In addition, the data subject is free in the context of the use of information society services, and notwithstanding Directive 2002/58/EC, to use his or her right to object by automated means using technical specifications. If the decision (1) is necessary for entering into, or the performance of, a contract between the data subject and a data controller, or (2) it is based on the data subject’s explicit consent, the Instant-Deals shall implement suitable measures to safeguard the data subject’s rights and freedoms and legitimate interests, at least the right to obtain human intervention on the part of the controller, to express his or her point of view and contest the decision. If the data subject wishes to exercise the rights concerning automated individual decision-making, he or she may, at any time, contact any employee of the Instant-Deals. If you wish to exercise any of the above rights, please use the forms indicated where applicable and email us. In addition, we keep a copy of requests submitted to us to comply with our own legal obligation to maintain data processing records. By using our website, you signify your acceptance of this policy. If you do not agree to this policy, please do not use instant-deals. Your continued use of the website following the posting of changes to this policy will be deemed your acceptance of those changes.